Gabbie has been reading Wonder for school, and when she first started reading it, I took her copy and read it too. On the one hand, I really liked it. On the other, it definitely made me cry! Auggie is a truly loveable character with a sense of humor that makes people like him. At the same time, people are scared of him because of the way he looks. When the students got to know him, they liked him, but of course there was pressure from others not to be his friend because of his looks. The everyday difficulties that kids face are multiplied for Auggie. The story follows him through his entire 5th grade year, and not only does Auggie learn how to survive in a mainstream classroom, the kids he meets learn how to treat someone different from themselves. I am glad that Gabbie is reading this book and I hope that she and her classmates will get a lot out of it. Have you read Wonder? 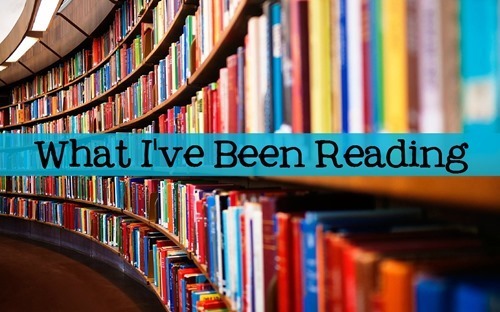 What have you been reading lately?